AGLE ---> This setup, which made a steady trade session, can see the price colliding inside of its Ascending Triangle! 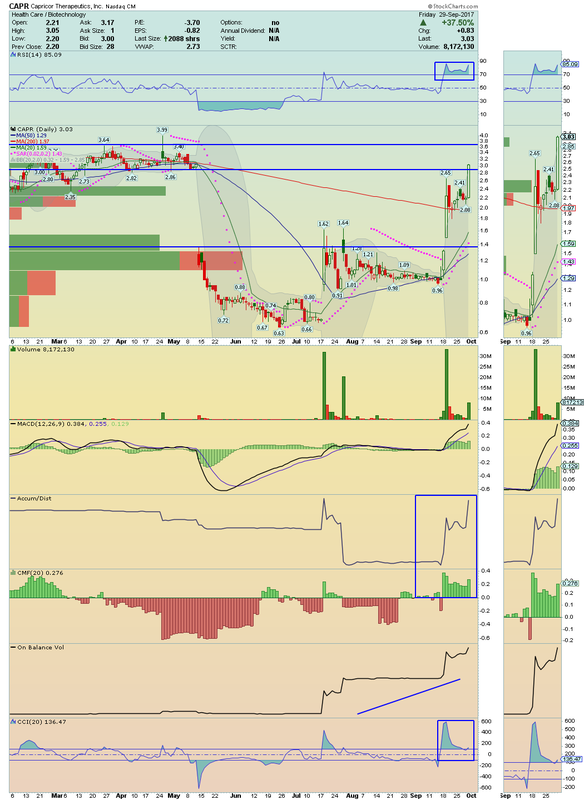 A break above of this pattern and subsequently above $5.12, will open the door for a Big Run! Stay tuned. CAPR ---> Alerted to our Members in Chatroom and then in Social Networks, this stock provide us a great trade session, filling the GAP. However, we can not ignore its strength as it close near of High of the Day with heavy Accumulation! 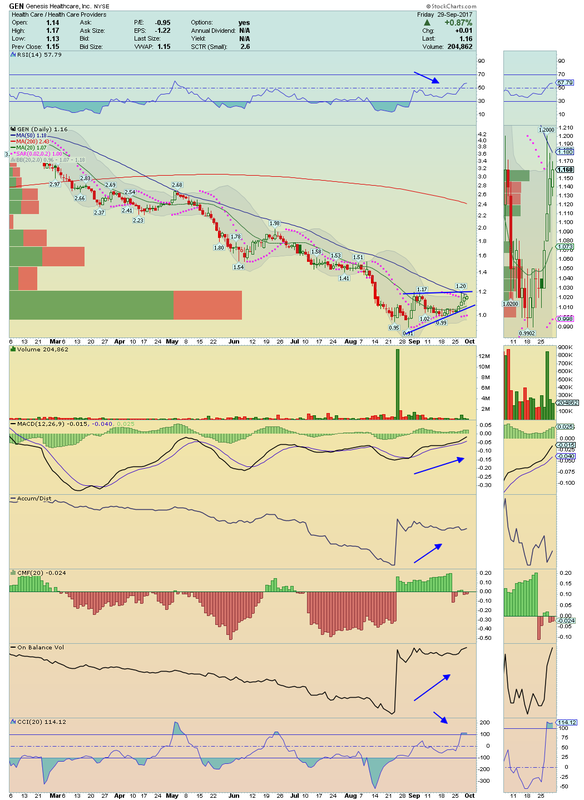 Although it is being traded in overbought area, i will try to catch a move towards $3.64 first and $3.99 then! Use a tiny stop if you go there too. GEN ---> Another Ascending Triangle ready to be broken! 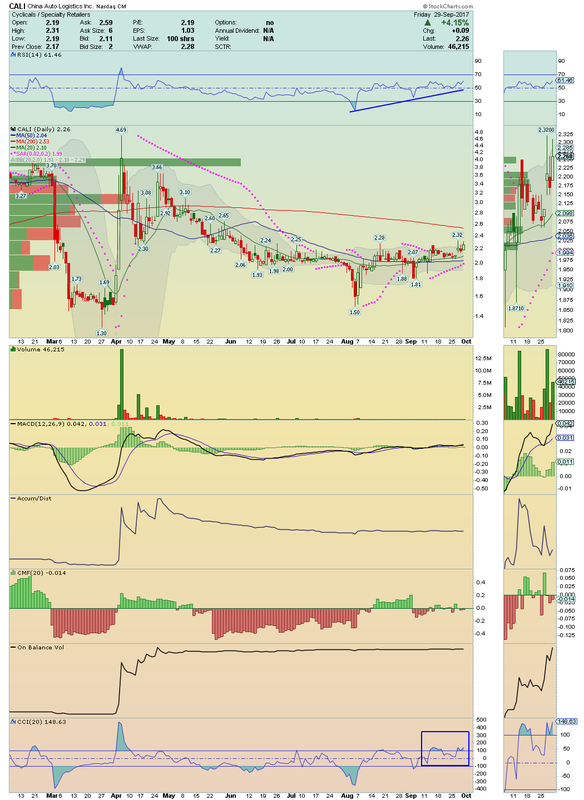 Chart is showing a strong Bullish Activity and this stock could make a strong run over $1.20! On watch!! HOTR ---> Also, provided to our Members a great trade session! 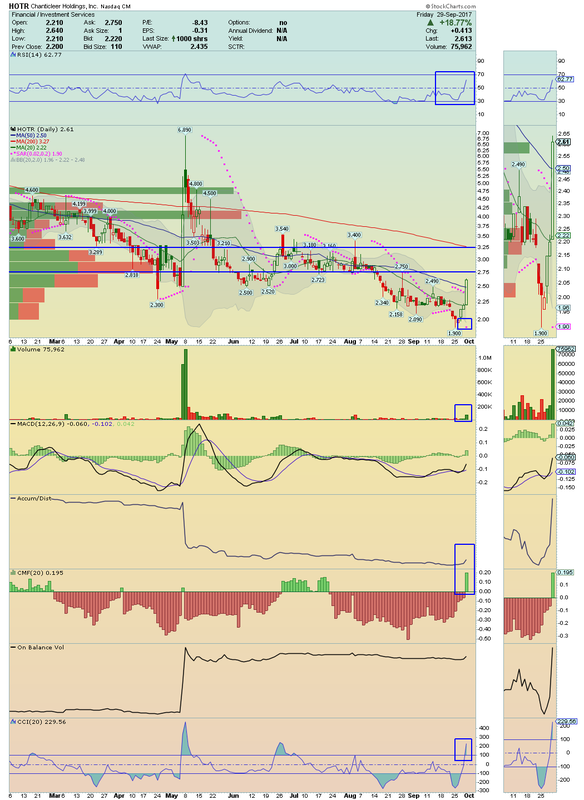 However, and like CAPR, this setup is showing a phenomenal Momentum! 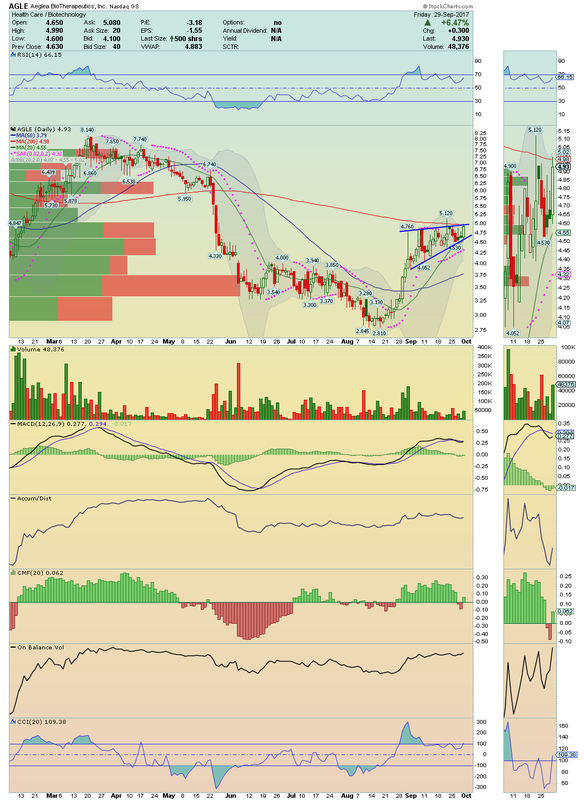 I´ll be watching closely and try a move between $2.75 and $3.27! Great chart! Short Squeeze could be on the beginning! CALI ---> It made a nice trade session with shares rising more than 4% with decent volume and an interesting high Buying Pressure. A break above $2.32 could give us a nice Squeeze towards its 200 Moving Average. BBBY ---> After the Big Drop in September, October looks setting up for a recovery! 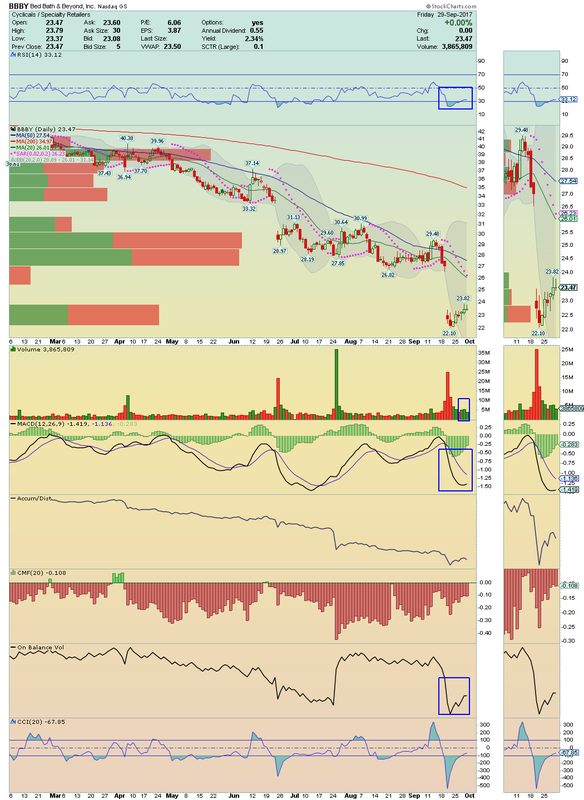 Chart indicators are starting to showing positive divergences. Noting too that buyers are coming back! I bought some shares on last week with target its GAP!! NWL ---> Another setup poised for a hard Bounce! 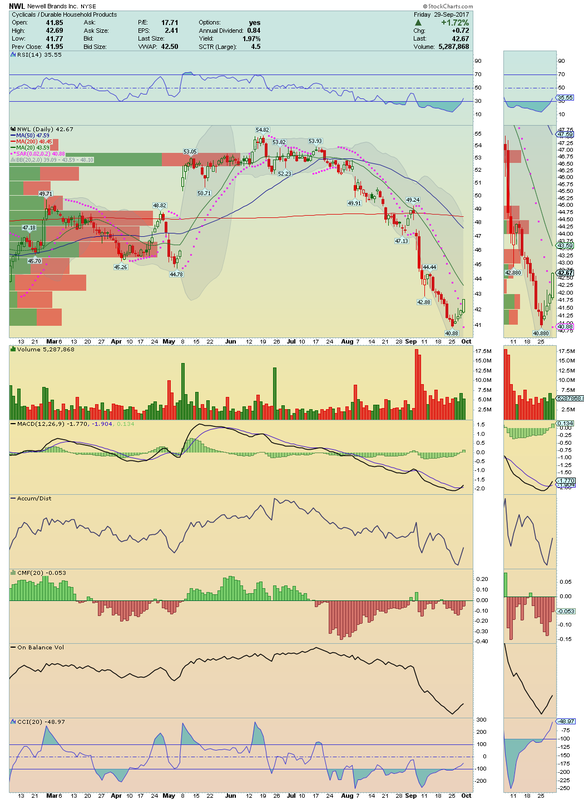 Like BBBY, chart is showing nicely positive divergences and also, that buyers are coming back! $44.44 break could coming very soon.